The history of the Wallace family in Woodbridge spans four generations and is a story of pioneering individuals who achieved recognition as successful political representatives in both municipal and federal government elected offices. The family also owned a local hotel and successful general store. Captain Nathaniel Wallace, the senior of the Wallace family members, built the Wallace House in 1873 located on present-day Woodbridge Avenue. The Historical Wallace House is a place to feel at home and a chance to look at some of Woodbridge’s history and culture displayed on our walls or in our ‘Memory Room’. 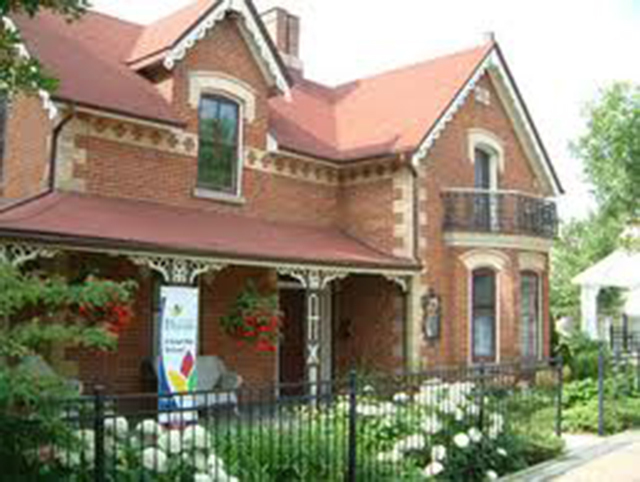 The Historic Wallace House still plays an important community role today with various interest groups using the facilities. Wallace House groups function on a “donation” basis and invite new members and drop-ins to stop by and participate. A relaxing afternoon with experienced card players. An enthusiastic group fo women working on projects to donate to charity or be sold for donations. From beginner to advanced. A small, friendly an informal group where individuals of all levels are welcome to learn and practice their quilting. You can also visit the Wallace House website.